Below are the profiles from each of the eight countries represented in the 2016 WorldMagicCup Top 8. Each country is comprised of three team members. When did you start playing Magic? Seven years ago. What is your favorite memory from the World Magic Cup thus far? When we locked the Top 8 – it was a really hard game. What would winning the World Magic Cup mean to you and your country? A dream come true. When did you start playing Magic? Kamigawa in 2004. What is your favorite memory from the World Magic Cup thus far? When we won the feature match and we locked Top 8! What would winning the World Magic Cup mean to you and your country? We would get revenge from World soccer where Italy didn't qualify for the World Cup! What is your favorite memory from the World Magic Cup thus far? When we drew Hazoret to win the match to advance to Stage 2. What would winning the World Magic Cup mean to you and your country? That I would be the only person to ever have done it twice! When did you start playing Magic? 2002, when I was 14 years old. What is your favorite memory from the World Magic Cup thus far? My teammate winning the match with 1 life left. It was crazy. What would winning the World Magic Cup mean to you and your country? I will try my best! Winning the World Magic Cup would be great for Chinese Magic. When did you start playing Magic? 2006, when I was 15 in high school. What is your favorite memory from the World Magic Cup thus far? I survived from 1 life against Hungary, top decking Glorybringer into Chandra to win the game and the match for the team. What would winning the World Magic Cup mean to you and your country? A dream come true and prove that China can be good at Magic. When did you start playing Magic? 2008. What is your favorite memory from the World Magic Cup thus far? Having great fun with my teammates and friends at home watching us. What would winning the World Magic Cup mean to you and your country? Have something nice to bring home. When did you start playing Magic? 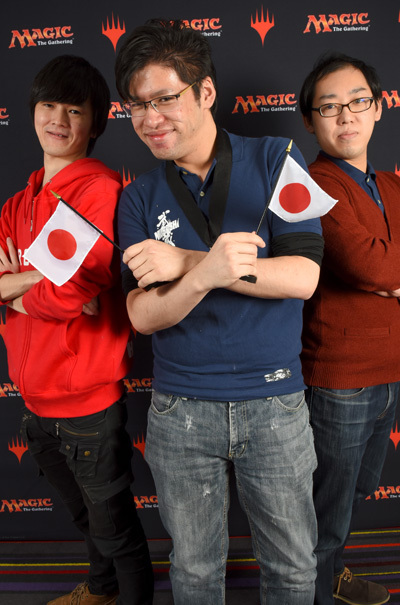 2008, my first Pro Tour was at Nagoya in 2011. 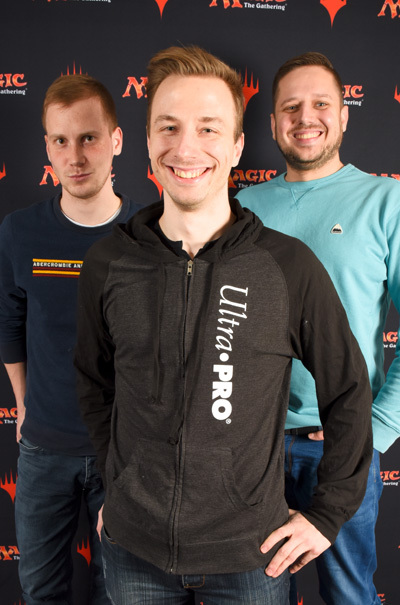 What is your favorite memory from the World Magic Cup thus far? Beating undefeated Germany in the last round to us for Top 8. What would winning the World Magic Cup mean to you and your country? I can’t even imagine. Words probably can’t describe it. When did you start playing Magic? In 2012, around when Return to Ravnica was released. What is your favorite memory from the World Magic Cup thus far? When I was wondering what to do in our win-and-in match and my teammates said that we already won the match. What would winning the World Magic Cup mean to you and your country? I would be proud and would have many Pro Points! When did you start playing Magic? 1997. What is your favorite memory from the World Magic Cup thus far? Beating Germany and Brazil. What would winning the World Magic Cup mean to you and your country? Would be great for me, for my country, and maybe it’ll encourage more people to play competitive Magic. When did you start playing Magic? Shadowmoor. What is your favorite memory from the World Magic Cup thus far? 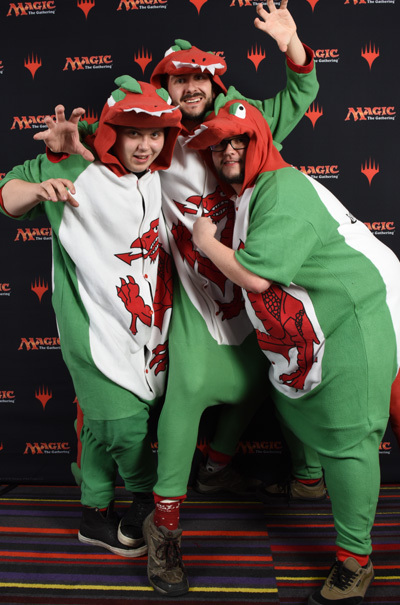 Getting weird looks from locals while I was walking to the venue in my dragon onesie this morning. What would winning the World Magic Cup mean to you and your country? Welsh Magic finally accepted as good as the United Kingdom. When did you start playing Magic? Lorwyn. 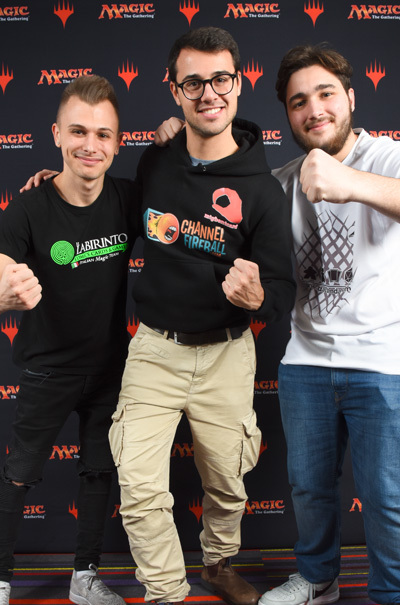 What is your favorite memory from the World Magic Cup thus far? My match with Gerry Thompson was hilarious. What would winning the World Magic Cup mean to you and your country? Would mean Welsh Magic finds acceptance as being as good as the U.K. When did you start playing Magic? 2005 in Ravnica block. What is your favorite memory from the World Magic Cup thus far? Just how happy everyone was. The spirit goes further than some costumes. What would winning the World Magic Cup mean to you and your country? It would be funny to see a bunch of guys dressed as dragons lift the trophy! When did you start playing Magic? Invasion. What is your favorite memory from the World Magic Cup thus far? Good teammates all the time. What would winning the World Magic Cup mean to you and your country? 15,000USD would be so good, and it'd be my fifth time getting lucky. When did you start playing Magic? Mirage. What is your favorite memory from the World Magic Cup thus far? I topdecked Hazoret the Fervent in the bubble match. What would winning the World Magic Cup mean to you and your country? I'd get 8 Pro Points and win a lot of money. When did you start playing Magic? Khans of Tarkir. What is your favorite memory from the World Magic Cup thus far? My teammate won the bubble match. What would winning the World Magic Cup mean to you and your country? It would make us very happy. When did you start playing Magic? 2012 or 2013. What is your favorite memory from the World Magic Cup thus far? The moment both my friends won a match with Japan, which locked us for the Top 8. What would winning the World Magic Cup mean to you and your country? Showing the crowd back home that sometimes life is like a Cinderella story. Magic happens. When did you start playing Magic? Feels like ages ago. 2002 I think. 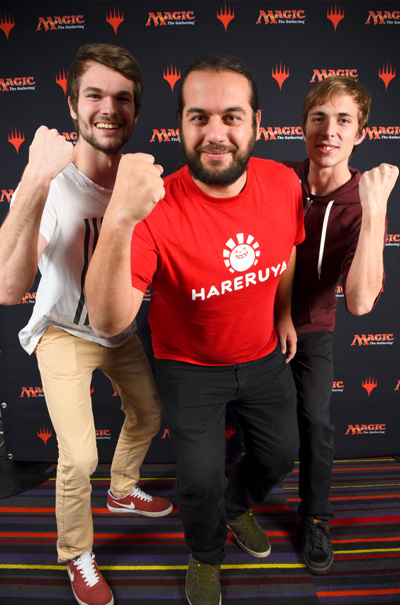 What is your favorite memory from the World Magic Cup thus far? Beating Yuuya Watanabe for the first time. It has improved my personal score against him to 1:10,000. What would winning the World Magic Cup mean to you and your country? Quite a bit. We have some unfinished business from previous years' Top 8s and we want to get it done this time. When did you start playing Magic? Fifteen years ago. What is your favorite memory from the World Magic Cup thus far? Martin Jůza's stories. When did you start playing Magic? 2002. What is your favorite memory from the World Magic Cup thus far? The team. What would winning the World Magic Cup mean to you and your country? Would be "nice." When did you start playing Magic? 2006 during Time Spiral; my brother taught me at the kitchen table. What is your favorite memory from the World Magic Cup thus far? Attacking on turn 4 with Hazoret the Fervent. What would winning the World Magic Cup mean to you and your country? I'll think about that after we've won. When did you start playing Magic? The first card I held was from Ice Age; I really started around Onslaught. What is your favorite memory from the World Magic Cup thus far? 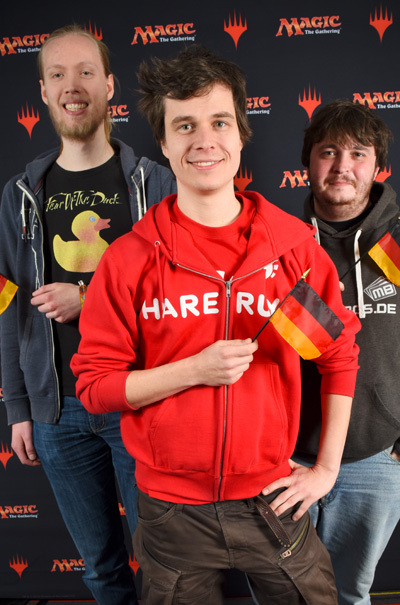 Team drafting with Austria during our bye on Day 2 was pretty nice, although making the Top 8 ranks pretty highly as well. What would winning the World Magic Cup mean to you and your country? Putting Germany back on the map finally! When did you start playing Magic? I started with Fourth Edition Preconstructed Decks. I guess that was in '95 or '96. What is your favorite memory from the World Magic Cup thus far? Making my Top 8 with my great team alongside our testing partners Germany. What would winning the World Magic Cup mean to you and your country? Finally bringing a major trophy home to Austria. Losing in the finals twice still stings for the whole country! When did you start playing Magic? I started playing competitively in 2012. What is your favorite memory from the World Magic Cup thus far? Winning the last round for the Top 8. What would winning the World Magic Cup mean to you and your country? It would make Austria great again. When did you start playing Magic? In 2007, but only at the kitchen table. 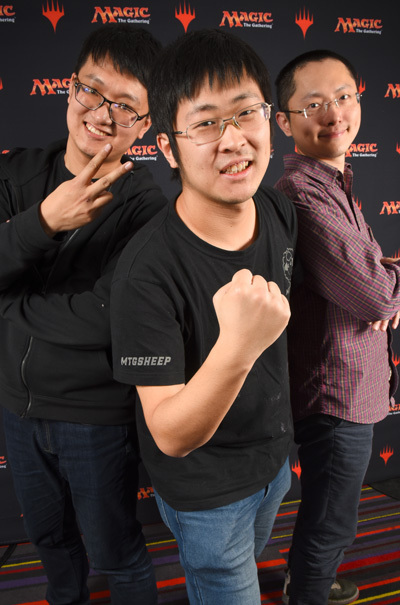 What is your favorite memory from the World Magic Cup thus far? We tested green-white Cats for this event and we were joking all the time about it. 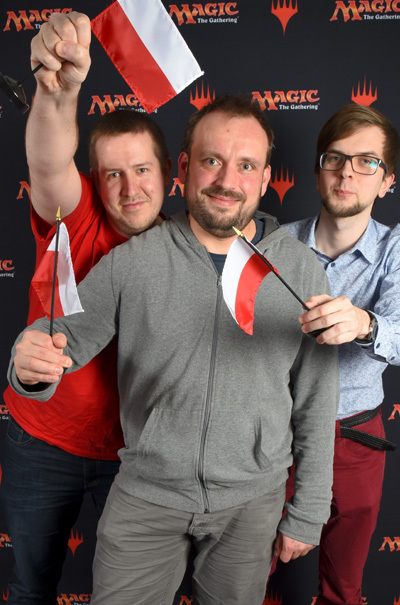 What would winning the World Magic Cup mean to you and your country? It would make Austria great again!